Epic Games has announced the arrival of Unreal Engine 4.22 Preview 1. The significance of this development software update, now available for download via the Epic Games launcher or GitHub, is that it delivers support for real-time ray tracing. Many PC enthusiasts will remember that various Unreal Engine powered demos have been shown off by Nvidia. The humorous Reflections Real-Time Ray Tracing Demo was released nearly a year ago featuring various Star Wars storm troopers including one with a very shiny suit. In Octiber we saw an update to the Lunar Landing demo with real-time raytracing added. Much more recently we saw the Project Sol Part 2 demo released at CES 2019. Both these demos have been created by developers with early access to tools from Nvidia and Epic Games. 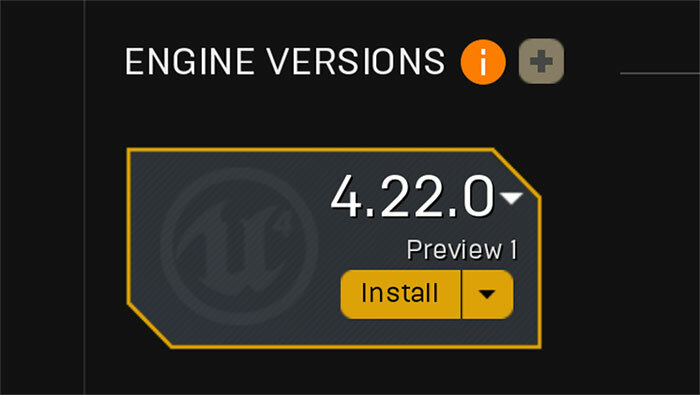 Now with Unreal Engine 4.22 Preview 1 these tools are coming to a much wider developer base. Geometry types: Triangle meshes: Static, Skeletal (Morph targets & Skin cache), Niagara particles support. In addition to the above there are a plethora of updates to the animation capabilities, audio, editor, dev tools, gameplay and scripting, mobile gaming, networking, Niagara visual effect editor, physics, sequencer, virtual production facilities, and AR/VR capabilities. As well as all the new features, Epic has quashed a multitude of bugs, as usual. Finally, Epic Games reminds those that download Unreal Engine 4.22 Preview 1 for some testing must "keep in mind that Preview releases are intended only to provide a sample of what is going to be released in the update and are not production-ready". It is advised that you work on project copies with this preview release for now, and keep your working project files for the full release of v 4.22. I'm really looking forward to future cards having enough power to use ray tracing effects in multiple ways - both reflection and shadow casting at the same time for eg. and at high enough number of rays to have no artefacts. We're a long way off for now, but only a matter of time. might we end up with a situation like we did back in the days of PhysX where you have two cards..one for output and one for RayTracing. might be easier to power it, make it fit, keep it cool and get the memory quantity right on each card? Considering where we are with fabrication processes, I am guessing that will be the way forward.